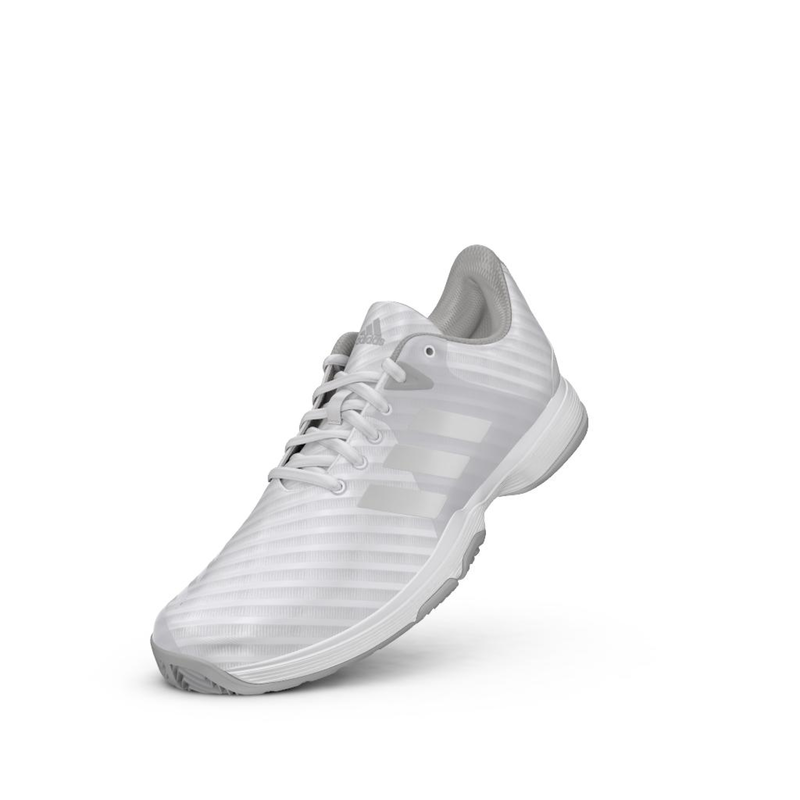 adidas Barricade Court Women's Tennis ShoesConstructed using a cloudfoam midsole and adiwear outsole, these women's tennis shoes are prefect for long days on court. Synthetic Upper The adidas Barricade Court is constructed using a synthetic upper to provide the wearer with lightweight durability and comfort on the court. This helps to keep the feet protected, especially during sharp, aggressive, lateral movements typically associated with tennis. With the upper being extremely lightweight, you can move freely around the court without feeling restricted or held back. 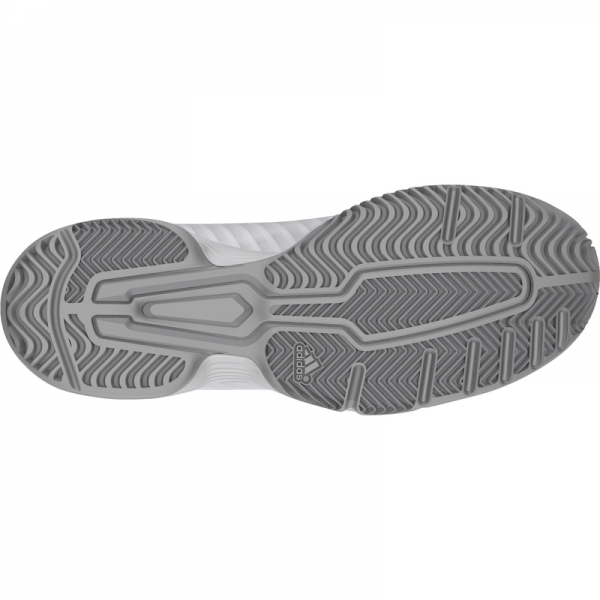 Working alongside the synthetic material is abrasion-resistant Adituff, which wraps around the toe and medial forefoot to help protect against foot drag that occurs during serves, volleys and extreme movements. Furthermore, cool air is encouraged to circulate, creating a drier, healthier environment for your feet to thrive. A padded tongue sits comfortably against the skin, guarding against friction and irritation such as chafing while a traditional lacing system offers a secure, locked-in feel as you play. Cloudfoam Midsole Exceptional cushioning and comfort is provided by the Cloudfoam midsole to give you supreme comfort and response on the court. The midsole offers step-in comfort and the aforementioned superior cushioning to help efficiency as well as minimising the potential risk of injury and discomfort, particularly when landing as the cushioning will reduce the impact placed upon your knees and joints. A Torsion system is located between the heel and forefoot for additional stability. Adiwear Outsole The Barricade Court has been carefully engineered and implemented to offer a unique tennis experience for all those who want to enhance their playing style, by providing an Adiwear outsole that offers the ultimate in high-wear durability allowing you to perform at higher levels for longer giving you an overall advantage as soon as you step onto the court.